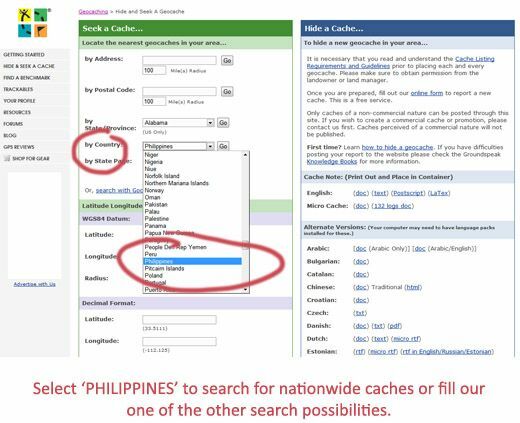 carNAVi FAQ (Knowledge Base) - How can I find Geocaches? Geocaching is an outdoor activity in which the participants use a Global Positioning System (GPS) receiver or other navigational techniques to hide and seek containers (called “geocaches” or “caches”) anywhere in the world. A typical cache is a small waterproof container (usually a tupperware container or ammo box) containing a logbook. Larger containers can also contain items for trading, usually toys or trinkets of little value. 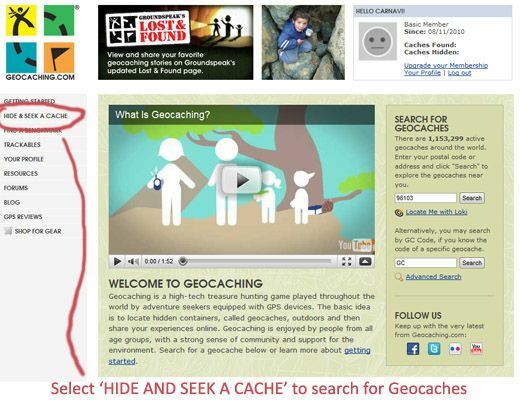 Geocaching is most often described as a “game of high-tech hide and seek,” sharing many aspects with benchmarking, trigpointing, orienteering, treasure-hunting, Letterboxing, and waymarking. Geocaches are currently placed in over 100 countries around the world and on all seven continents. As of June 2010, there are over 1.1 million active geocaches around the world. See how it works on YouTube. 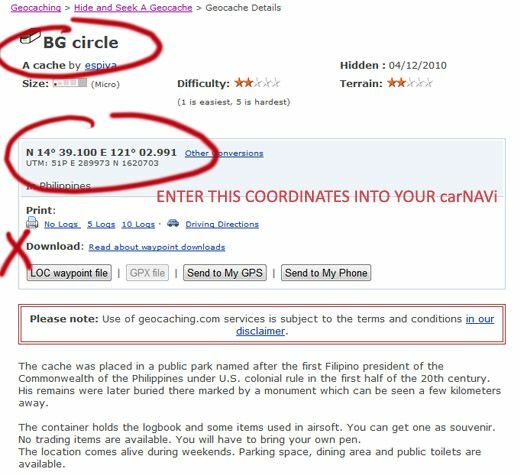 Here's a short explanation, how to get the coordinates of a Geocache and enter them into your carNAVi. First of all visit www.geocaching.com and sign up for a free membership. After finishing the membership confirmation select 'HIDE AND SEEK A CACHE' from the menu on the left side. Now simply note the coordinates and/or print the cache help, enter them into your carNAVi, as described here, and you are ready for your next adventure.